Heritage day on the West Coast, San style. Our National Heritage Day is approaching and it’s time to make plans. 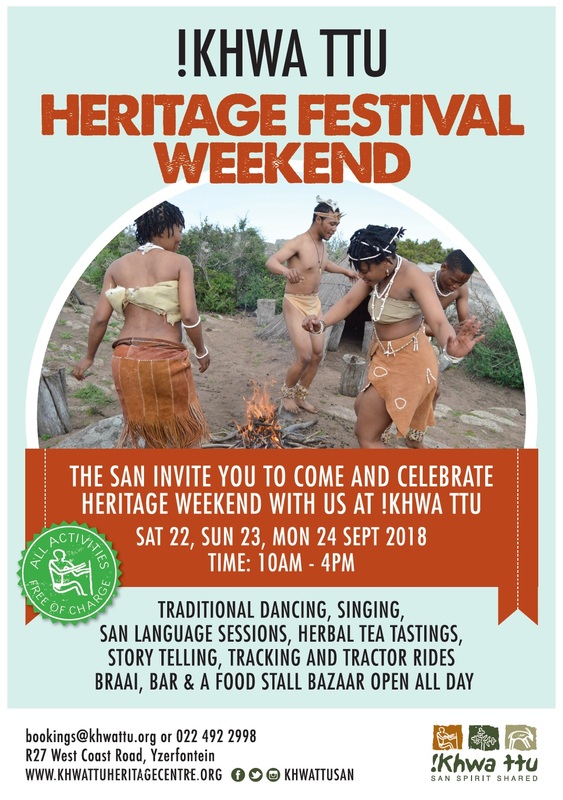 !Khwa ttu San invites you to join them for the first ever Heritage Festival where you can learn about the San culture and indulge in traditional food and the outdoor fun that is part of our South African lifestyle. FREE ENTRY and activities on Saturday, Sunday and Monday 22nd to 24th September. No booking needed. What: A laid back festival of fun for the whole family. Entrance and activities are free during the festival. Entertainment, surprises, competitions and activities, accompanied by all the local food we love. Where: The !Khwa ttu San Centre on the R27, an hours drive from Cape Town. When: Between 10 am and 4pm from Saturday 22nd to Monday 24th September 2018. !Kwa ttu San is a farm situated between Darling and Yzerfontein. 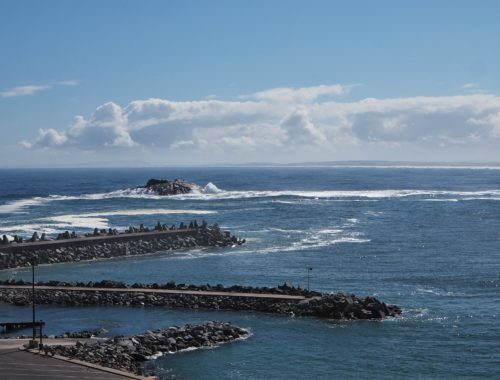 It has an excellent restaurant with indoor and outdoor seating, a Boma sporting views of Table Mountain and Yzerfontein beach, and accommodation for those who wish to take their time exploring this incredible San heritage destination. Eland, kudu, zebra and a variety of other antelope and small animals roam the hills and plains of !Khwa ttu. A Boma perched on top of a massive rock on the highest point of the reserve is accessible via a hike, a tractor or game viewing vehicle. At the restaurant area there is a gift shop and a fascinating exhibition centre, and an outdoor area where paintings and story boards relate stories from the San history. Marked walks with interesting info boards can be done alone or with a guide, starting close to the main reception area. 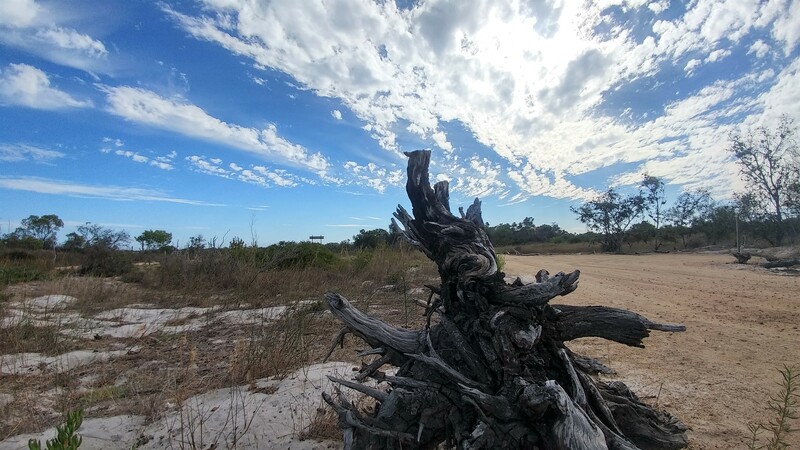 Longer hikes and trails are laid out within the reserve and are definitely worth exploring. The restaurant will be open all day and a spit braai is just one of the delicious offerings over the three day celebrations. Stalls will be set up under the trees in front of the tea garden where you can get a taste of our different cultures. Potjiekos, roosterkoek, braaied meat with side salads, pancakes, koeksisters, halaal food , toffee apples, candy floss , braai spices, and hot and cold beverages. Alcoholic drinks will be available at the restaurant only. Take a San guided walk through the veld and on the slopes of the reserve and learn from a San tracker how to stalk an eland, zebra or springbok. Take a tractor ride up to the boma on the highest point of the farm and enjoy the views, you can even see Table Mountain on a clear day. Indulge in a tea tasting in the herb garden and discover the many medicinal uses of the indigenous fynbos. Try to master the different click sounds in a San language lesson. Enjoy the high energy performances of the drumming group and the Good Hope Dance Company. After marveling at the intricate moves of the San traditional dancers, join them for dance lessons, you might win a prize. 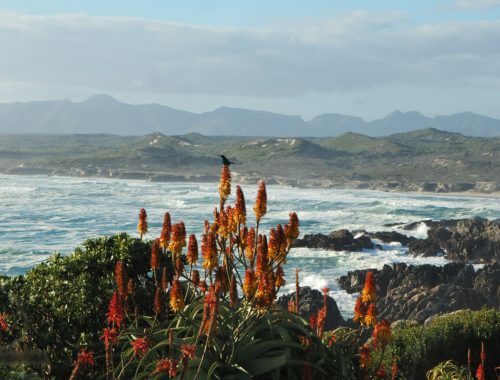 Talk to the guides and staff to learn more about the San culture and all the offerings on the Cape West Coast. There will be a dedicated Kids Zone making this an ideal family fun event. Kids can get their faces painted as a San dancer, African princess or a wild animal. Enjoy a game viewing tractor trip around the reserve or up to the boma. All visitors over the weekend will receive a voucher worth R220 for 1 Adult Ticket for the San Guided Nature Experiences and Heritage Centre Tour over the month of October. Follow the #KhwattuHeritageFest on social media and come and join in the fun. Yzerfontein on the Cape West Coast.